We're still picturing drones as small things that may deliver Amazon packages to us one day, but their biggest impact is most likely to come in military surveillance. And the Navy is planning on using a drone that's practically the size of an airliner. 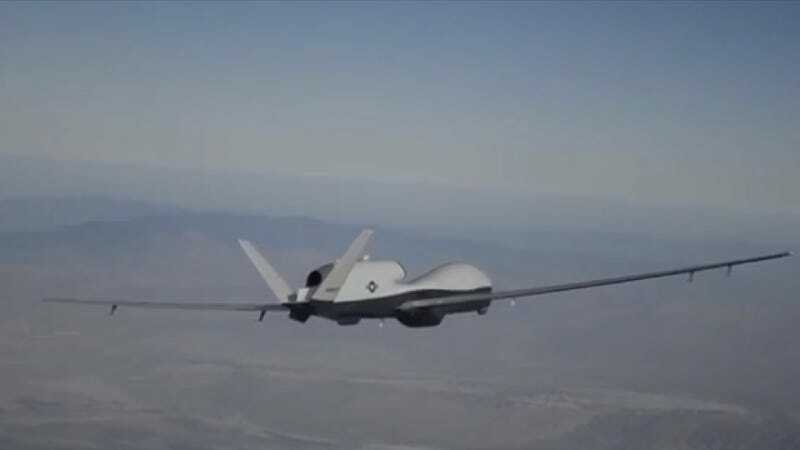 Wired reported that Northrop Grumman has completed the ninth round of testing for MQ-4C Triton drone that has roughly the same wingspan as a Boeing 757, or about 130 feet. In the latest round of testing, the Triton achieved 9.4 hours of endurance testing at altitudes of 50,000 feet, according to Northrop. The Navy expects to take its first delivery of 68 Tritons by the end of 2017.